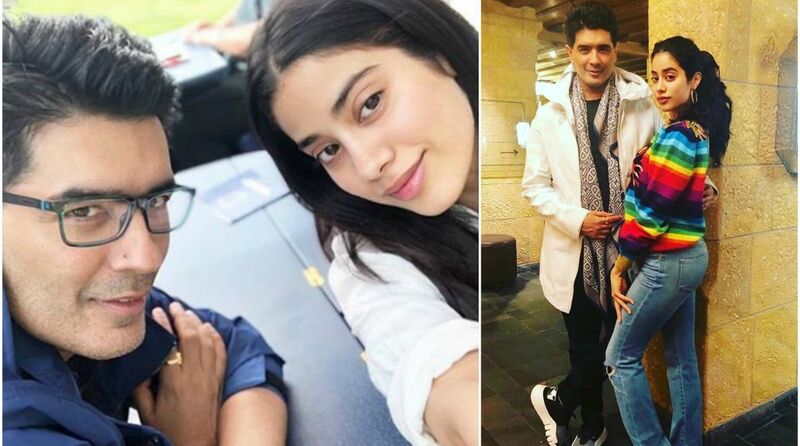 Janhvi Kapoor who made her debut in Karan Johar’s Dhadak with Ishaan Khatter is currently in Switzerland with fashion designer Manish Malhotra for a photo shoot for Brides India magazine. Manish shared an adorable picture with Janhvi in which she is seen gracing a lehenga made designed by him. The lehenga has a plunging neckline and goes with a strapless choli. Janhvi added a statement to the lehenga with a diamond necklace. 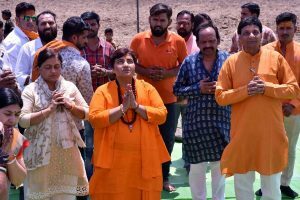 In another picture, Janhvi is seen dressed in a multi-coloured top paired with blue denim and sneakers while the designer looks dapper in a black t-shirt paired with black pants, a white jacket, patterned scarf and black and white sneakers. On the work front, she will be next seen in Karan Johar’s Takht alongside Ranveer Singh, Kareena Kapoor Khan, Vicky Kaushal, Alia Bhatt, Anil Kapoor and Bhumi Pednekar.